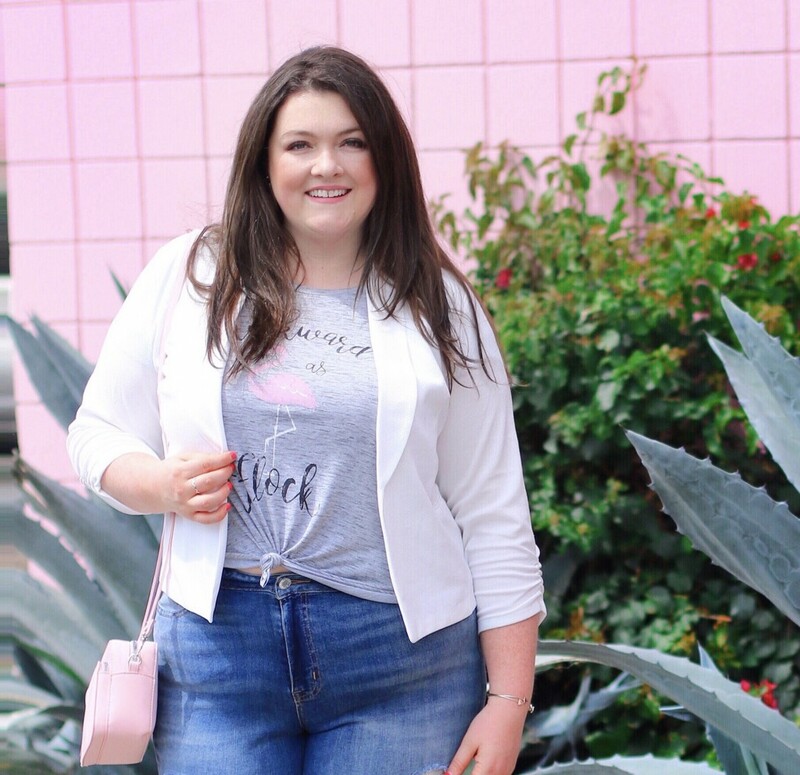 Spring is here in full effect and today I wanted to focus on some of my favorites from the plus size collection at Maurices. You can never go wrong with gorgeous florals for Spring and I honestly couldn’t be happier about cute options like this sleeveless keyhole dress. A staple in any wardrobe and one of my favorite silhouettes to pack on a vacation, I accessorized this little number with one of my go to colors for Spring, blush. These cute blush wedges and blush camera bag tied my outfit of the day together perfectly. 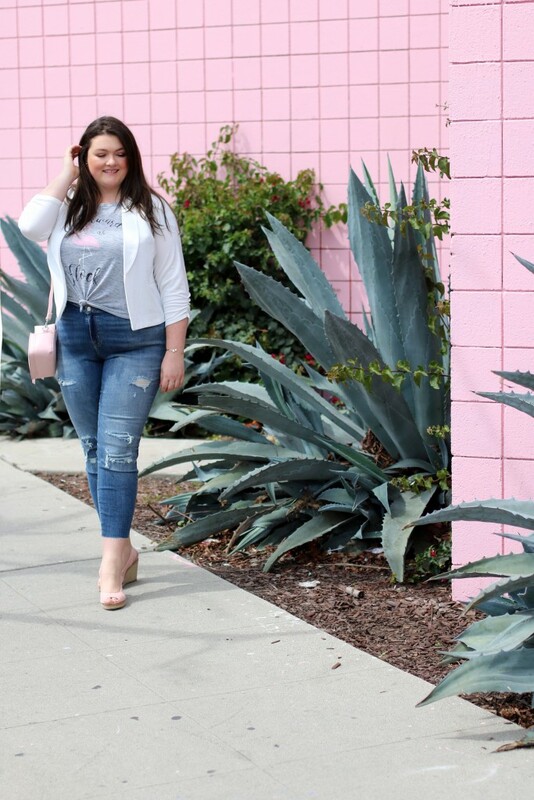 If you want a more casual but polished look, Maurices has tons of other options and these cropped denim jeans stood out for me as perfect for Spring. Cropped jeans come with a variety of benefits, from showing off your shoes with ease to figure-flattering capabilities with their great fit. 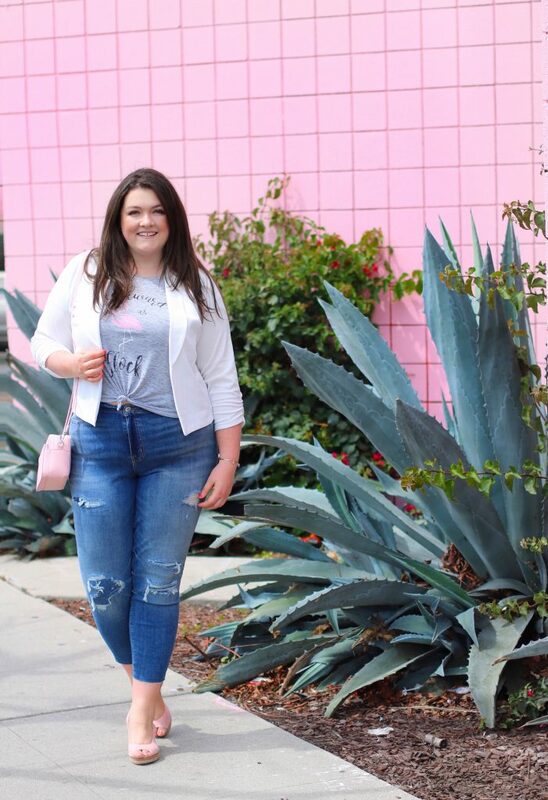 A fan of layering, I found this cute printed tee and paired it with this white jacket for a more polished look. I then topped the look off with blush wedges which look great with cropped jeans and my new favorite camera bag in blush. Whether you’re looking for a simple and timeless floral option or an on-trend number in a playful print or cool belt detail, Maurices has got you covered for Spring! This post is in partnership with Maurices. As always all opinions are my own! « REFORMATION LAUNCHES EXTENDED SIZES! Oh I especially love that second look with the jeans! !